No Nots Spray detangles manes and tails in horses. The solution adds gloss and shine and helps reduce mane and tail hair loss whilst grooming. It helps to keep hair manageable by regular grooming of manes and tails with No-Nots. The spray solution will make mud and grime easier to remove. Apply Crib Stop over complete surface to be protected. For best results apply a second treatment. Frequency of application will depend upon animal's temperament, length of habit, climatic conditions and type of surface. 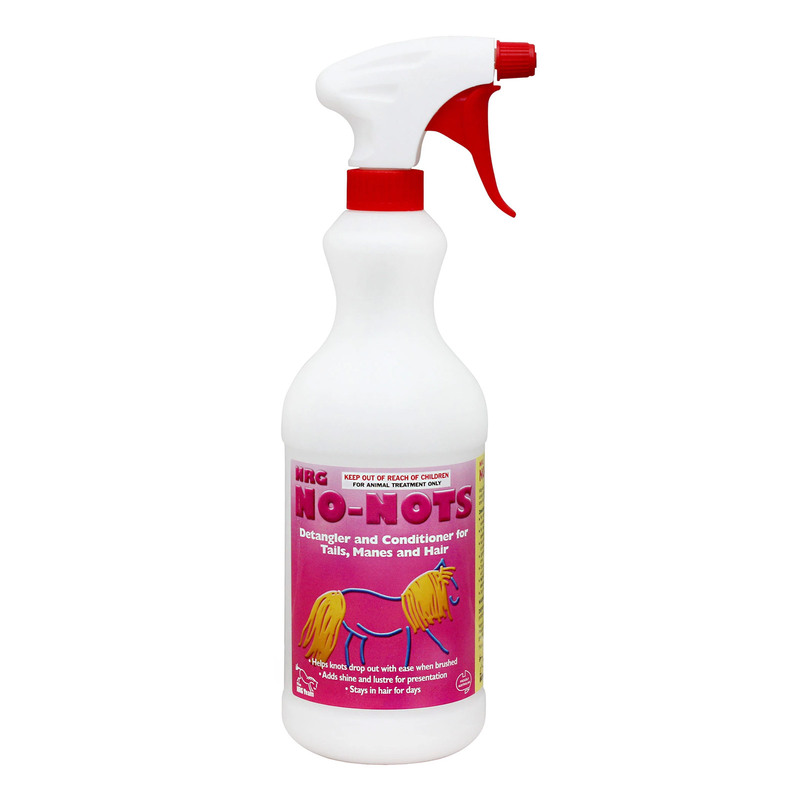 No Nots spray helps to entangle my horse’s knotted hair and keeps it smooth. It acts as a great conditioner too.